In a large bowl, cream butter and brown sugar until light and fluffy. Beat in the eggs, molasses and orange zest. Combine the flour, ground almonds, cinnamon, baking powder, nutmeg, cloves, pepper, ginger and cardamom. Gradually add to creamed mixture and mix well. Cover and refrigerate for at least 4 hours or until easy to handle. Preheat oven to 350&deg. On a parchment paper-lined surface, roll a small amount of dough to 1/8-in. thickness. 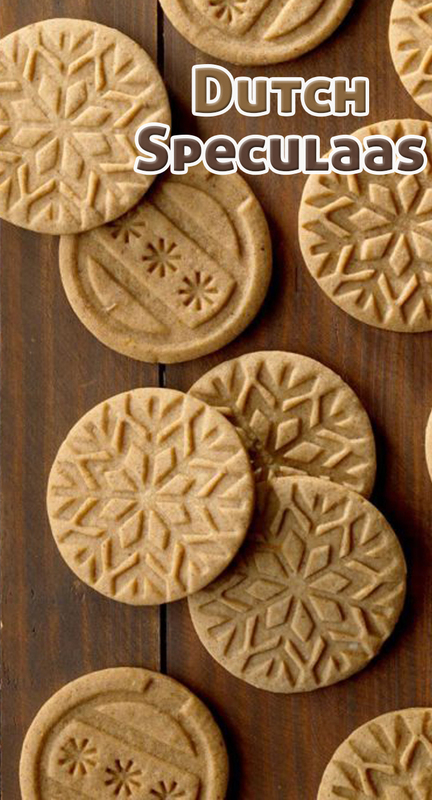 Use a floured cookie stamp to press design into dough, then cut with floured 3-in. cookie cutters, leaving 1 in. between cookies. Remove excess dough and reroll scraps, if desired. Transfer parchment paper with dough to cookie sheet. If dough has warmed, place baking sheet in refrigerator until it firms up, about 10-15 minutes. Bake at 350° until edges are lightly browned, 8-10 minutes. Remove from pans to wire racks to cool.